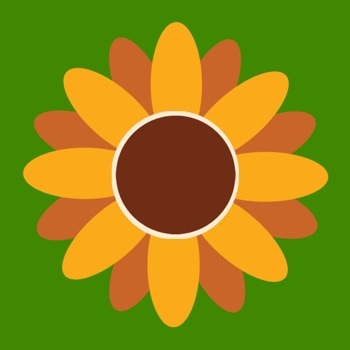 Powerful and useful gardening app enjoyed by thousands of users, now with up to +12000 plants included in the guide, with the most helpful information like descriptions, requirements and care to do! Include tropical plants and orchids!!! Enhanced for the new iOS 10! with new features to make the app more useful to gardening users! Garden Pro HD! 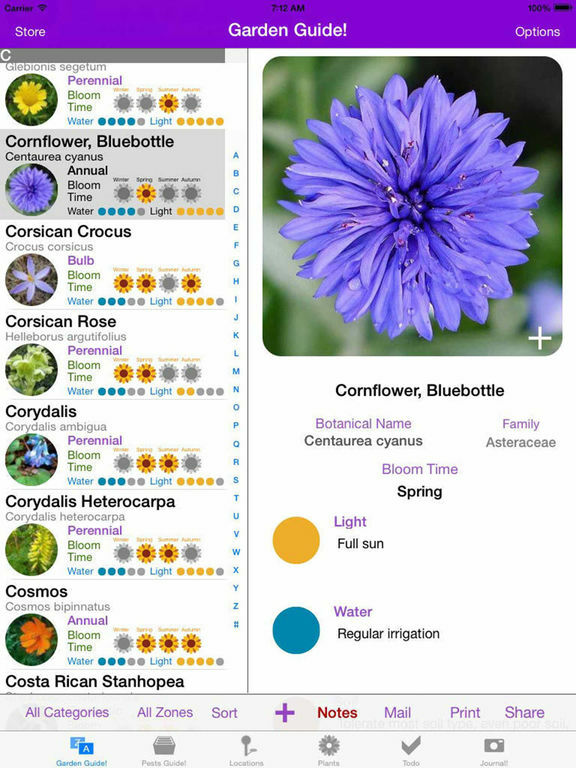 provide all the information you need about your flowers and plants, fast and easy, in your hand. Up to +12.000 plants descriptions, including... common and botanical names, light, water, soil and climate requirements, planting and blooming times, most important care to do and more about flowers and plants you love and enjoy! 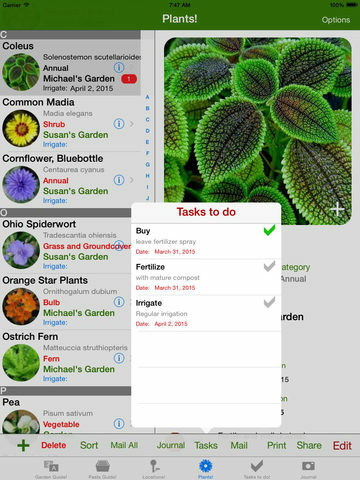 Keep all tasks to do updated, manage many locations, take journal snapshots in The Most Complete Gardening App! Also, including a complete Pests and Diseases Guide. - New Advanced Search with more options to redefine your experience.